The Santana stacking chair is with its round lines and open character a charming appearance. 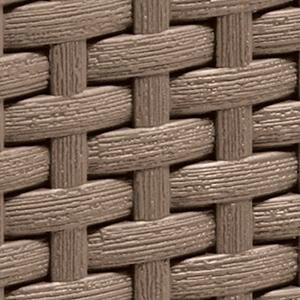 The familiar stacking chair has been through a true metamorphosis with the flat wicker. You can easily combine the graphite colour with Allibert garden tables. Think of all the hours you can spend outside from now on. You are always comfortable with the Santana garden chair.